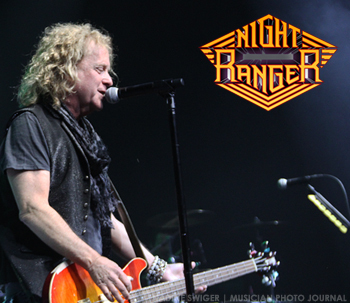 Night Ranger rocked the Vine at del Lago Resort & Casino last Saturday night! The full house was proof that “You Can Still Rock In America” as their set was on fire! 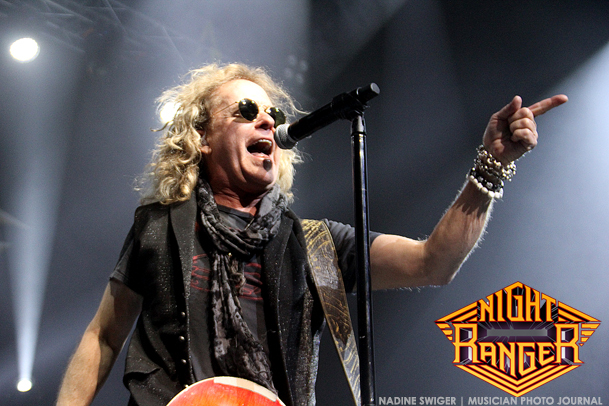 They kicked off the night with the classic “Touch of Madness,” “Four in the Morning” and “Sing Me Away.” They switched things up a bit after lead vocalist, Jack Blades pointed to the guy in the front row, with a Damn Yankees t-shirt on. They played the Damn Yankees’ tune “Coming Of Age.” (Damn Yankees was Jack Blades, Tommy Shaw of Styx, Ted Nugent and Michael Cartellone who currently is in Lynyrd Skynyrd.). 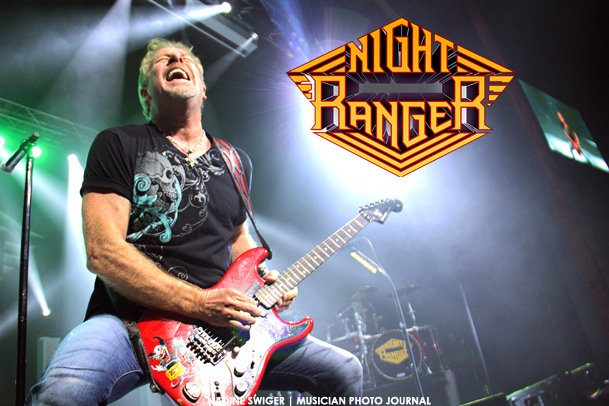 Kelly Keagy (Night Ranger’s drummer, co-lead vocalist, and co-founder) had to take a temporary leave of absence. Earlier this month, he had to have open heart surgery due to a heart abnormality. The abnormality is something that he’s had his entire life. His doctors suggested the procedure, as it should allow him to come back stronger than ever. Jack mentioned how he was there in spirit, and they tried to include him throughout the evening. They shot video footage of the crowd yelling “We Love You Kelly! 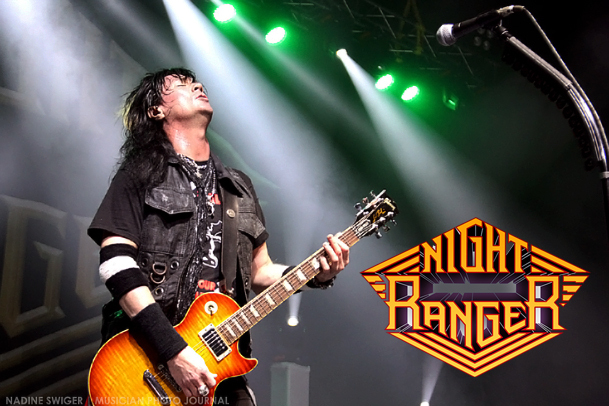 !,” video of the crowd sing “Sister Christian” and taking a photo of the crowd at the end of the night, that Jack said he will also be sending to Kelly. 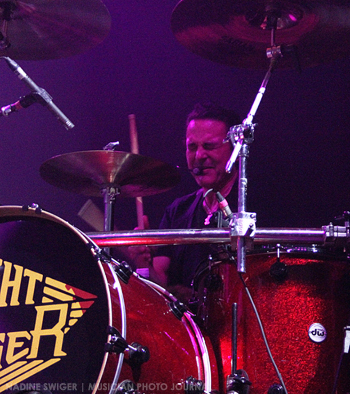 Night Ranger was joined by Cinderella’s Fred Coury behind the drums. 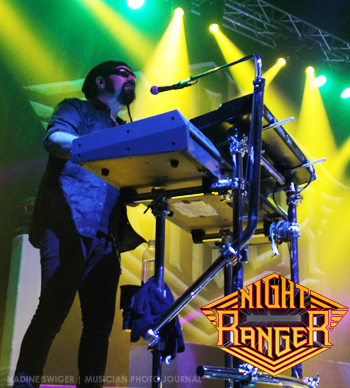 Fred will continue to fill in for the remaining April dates and Dean Castronovo (formerly of Journey/Bad English) will be filling in for May tour dates. Kelly plans to return to the stage in June. And while I’m sure it wasn’t easy for the band to go on to play without Kelly (according to the official press release, Kelly asked them to continue on while he healed, and they agreed with it as a temporary situation, knowing that he will be back on the road with them soon). But making the most of it, they were grateful for Fred to join them on stage. They even started to play a Cinderella song. At that point, Jack introduced his other band mates in a unique way. 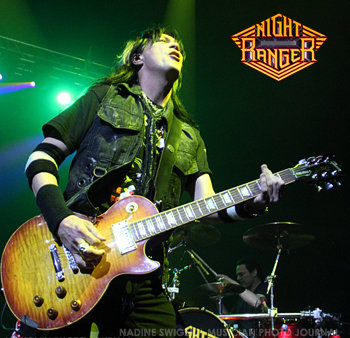 Guitarist, Keri Kelli played with Alice Cooper, so they covered a few Cooper tunes (“I’m Eighteen” and “School’s Out”), and guitarist Brad Gillis had played with Ozzy Osbourne, so they played “Crazy Train.” Rounding out the band is Night Ranger’s own Eric Levy is on keyboards. While growing up a huge Damn Yankees fan, it was great to see a few of those songs live! But the song that really stood out to me the most that night was “Goodbye.” Jack explained how he had one brother, and how he passed away. He never got to say goodbye, so he wrote this song for him. He said how Kelly Keagan usually sings this song, but he was going to sing it that night. It was a beautiful song. 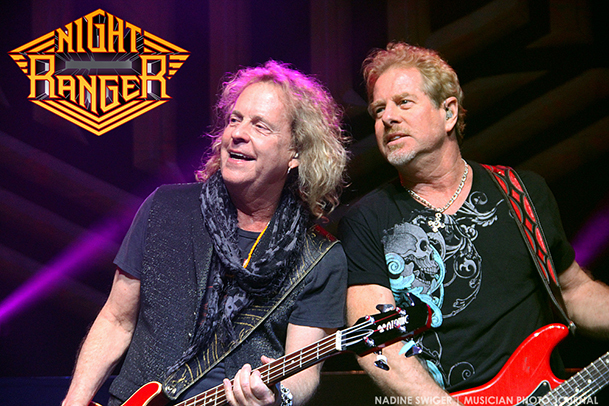 Night Ranger will continue to tour North America (see tour dates listed below) as they are out on their 35th Anniversary World Tour. 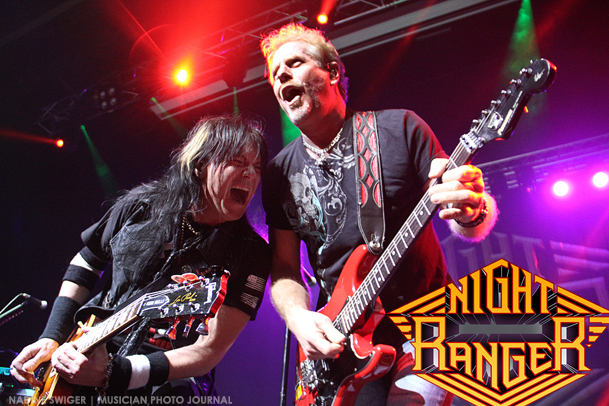 The tour also coincides with the band’s latest release, “Don’t Let Up” – the band’s 11th studio album – which hit stores March 24, 2017. And while they didn’t play any new songs off the album, Jack said they are hoping to have a few ready to play in May. I look forward to their return and see some of those newer songs! Overall, it was a great night of rock-n-roll! !